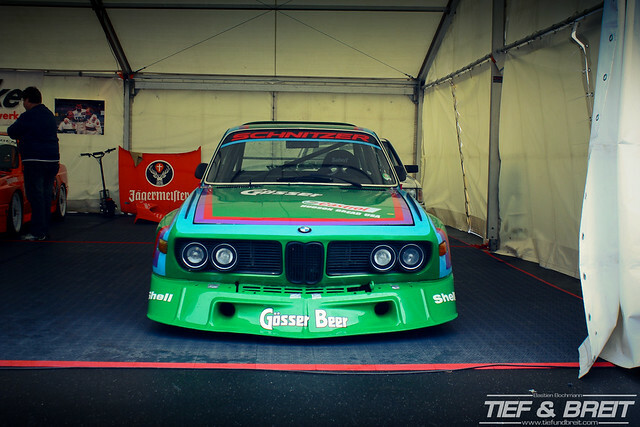 Let’s conclude the coverage of the Eifelrennen with a walk through the paddock area, starting with a head-on shot of the intimidating 3.0 CSL… I wouldn’t want THAT in my rear view! 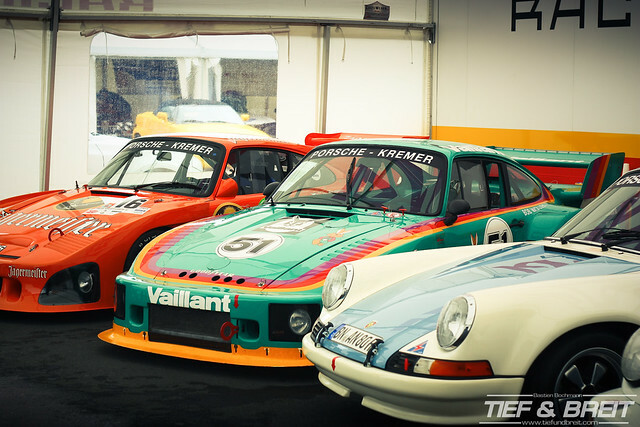 Famous Porsche race team Kremer Racing presented a host of their veteran race cars, with these 935s being the cream of the crop. 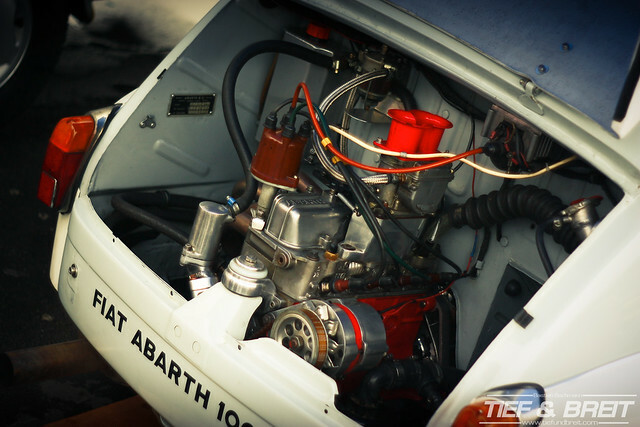 Very nice race prepped Opel Ascona A.
It’s amazing to see how small the engine of this Fiat Abarth was! 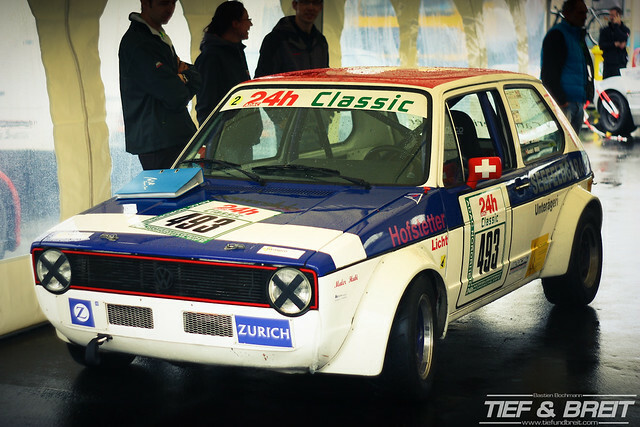 This wide-arched Mk1 Golf looked like it meant business! A whole score of Super-7s and other assorted Lotus’. Cobra. Do I need to say more? 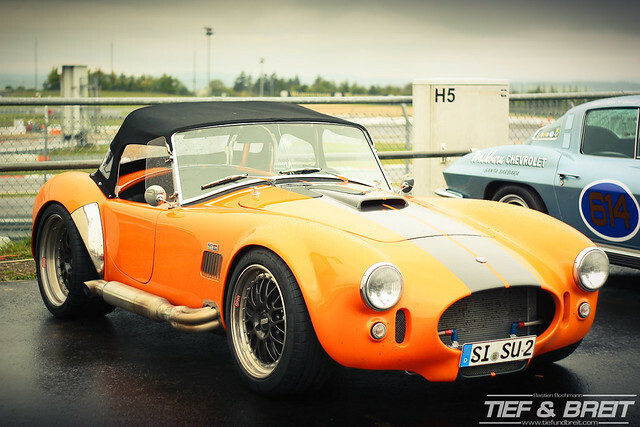 Another Cobra… this time with a more modern take on wheels. 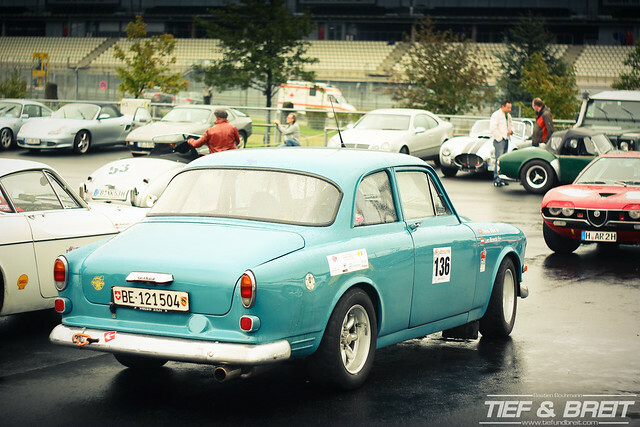 Volvo Amazon from Switzerland… nice to see swedish steel still being used for race duty, as this one apparently is. 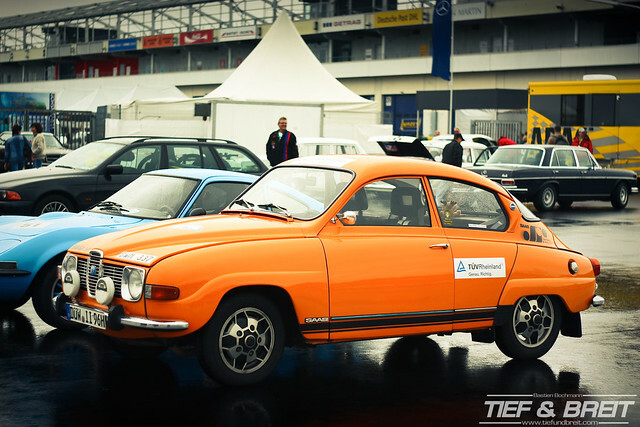 Speaking of scandinavian cars… I spotted a rare Saab 96 V4 as well! 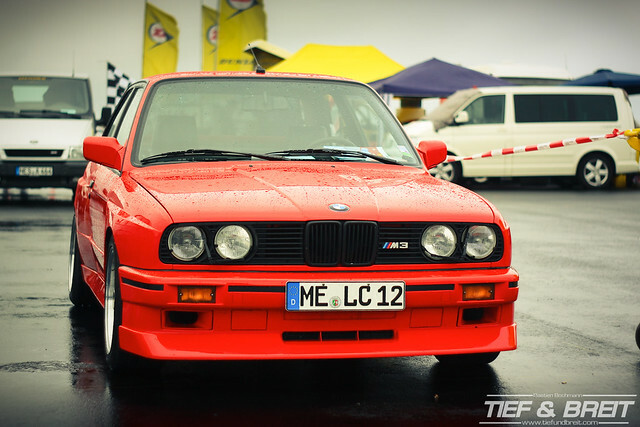 One of the best looking cars of all time… BMW E30 M3. 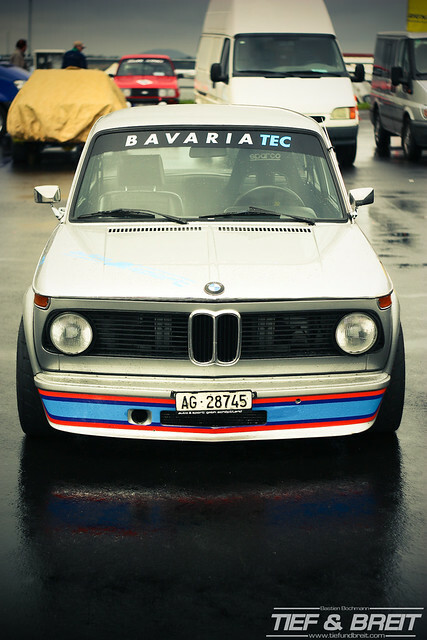 A mean looking BMW 2002! The car was pretty clean and sitting on a set of widened steelies. 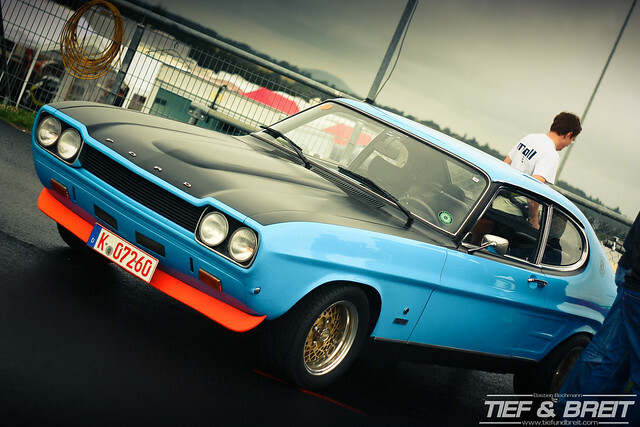 A pristine Ford Capri 2600RS sitting on BBS Rennsports. Amazing. 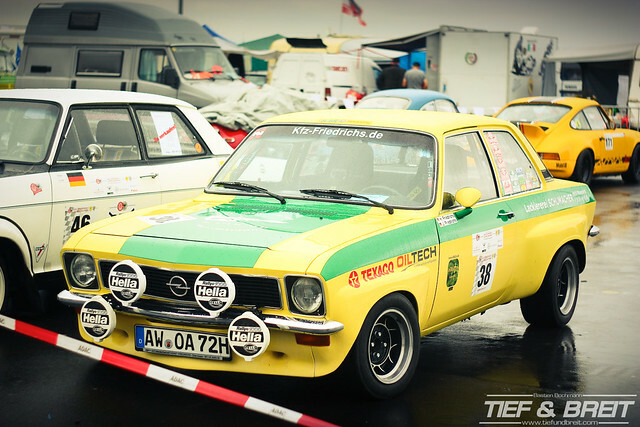 This is how they did Tief & Breit in the 80ies. 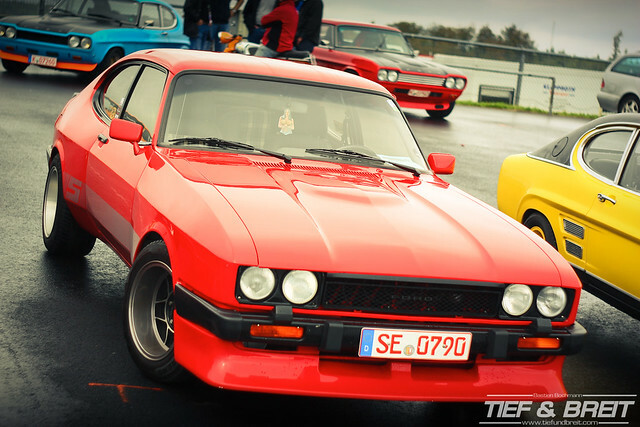 Widebody Ford Capri Mk3 3.0 sitting on 9×15 ATS Classics. 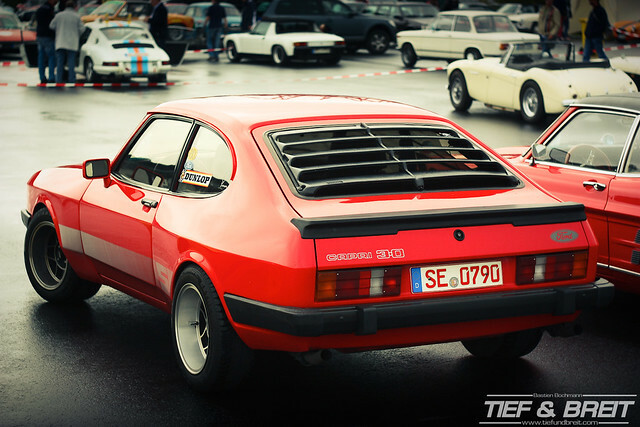 While not really all that low by todays standards, back in the day this might be what every other Capri owner dreamed of. Jägermeister Porsche being unloaded from the Mamerow Racing trailer. 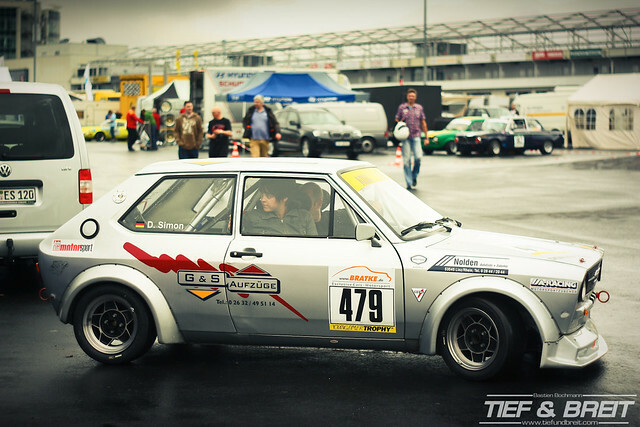 I caught this quirky little Audi 50 as it was backing up into it’s tent. 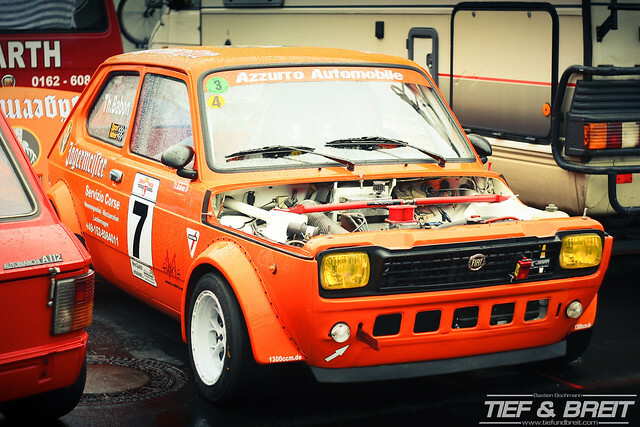 Love the wheel arches! 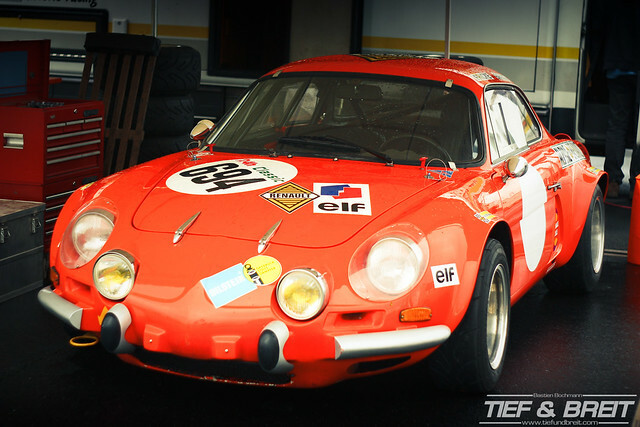 Also a welcome sight… Renault Alpine A110. 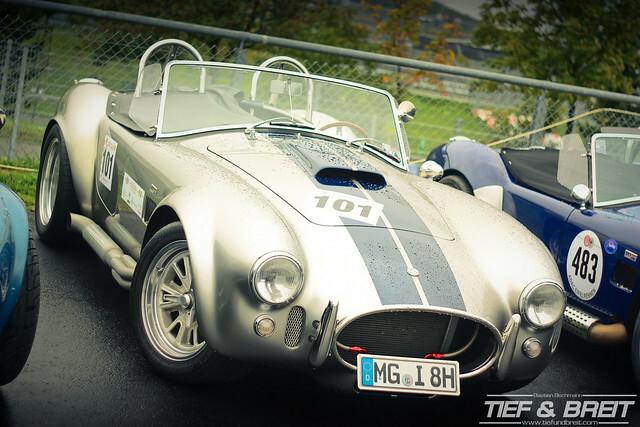 And that concludes our coverage of the Eifelrennen 2011! 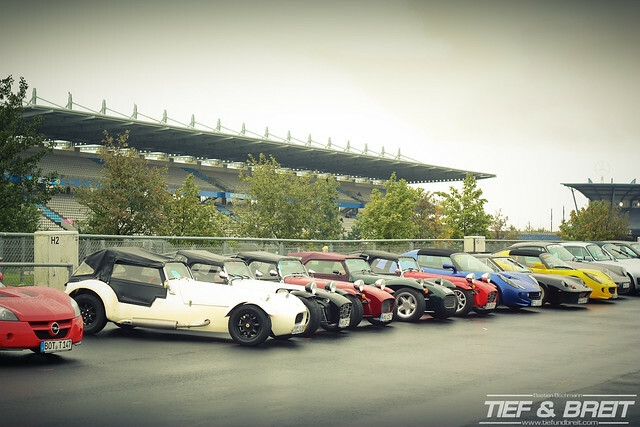 Be sure to check out the remaining photos in the Flickr gallery!